LESLIE V. Powis (?-1985) joined the Hamilton Centre in 1957. He already had a well-developed interest in astronomy by that time for he reportedly was the first person in North America to see Comet Mrkos (on 11 August, 1957). The following year he joined the Council of the Hamilton Centre, serving in 1962 and again in 1971 as their President He was elected Recorder of the Society in 1964 and held that position for eight years. Les Powis received the national Service Award in 1984. He frequently spoke at meetings of the Centre on a great variety of topics. His interests included telescope making, ham radio and radio astronomy. He encouraged a group of local youngsters to form an astronomy club and his son, David, became its President This led to the formation of Hamilton Centre's Junior Section. As Treasurer of the Centre, he played a big role in arranging the financing of the Centre observatory, but besides that he was responsible for finding a suitable site and took a very active part in the construction and maintenance of the building. Because of his outstanding contribution to this project, the Centre named it the Leslie V. Powis Observatory following his death. Members of the Hamilton Centre were shocked by the sudden death of Les Powis on 19 April 1985. As a leading member of the Hamilton Centre, Mr. Powis was active in its public education programme and in the planning, construction and maintenance of the Centre observatory. One of his last contributions to the latter was to repair a window just days before his death. 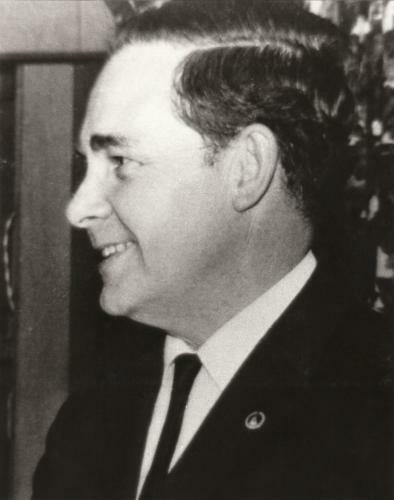 He served the Hamilton Centre as a Councillor, Treasurer, and as President (1961–62, 1971). In 1984 he received the Society’s Service Award Medal at the Hamilton–Niagara General Assembly. We extend the condolences of the R.A.S.C. to the Powis family and the Hamilton Centre on the loss of this dedicated long-time member of the Society. Displaying 1 - 4 of 7 items (page 1 of 2).